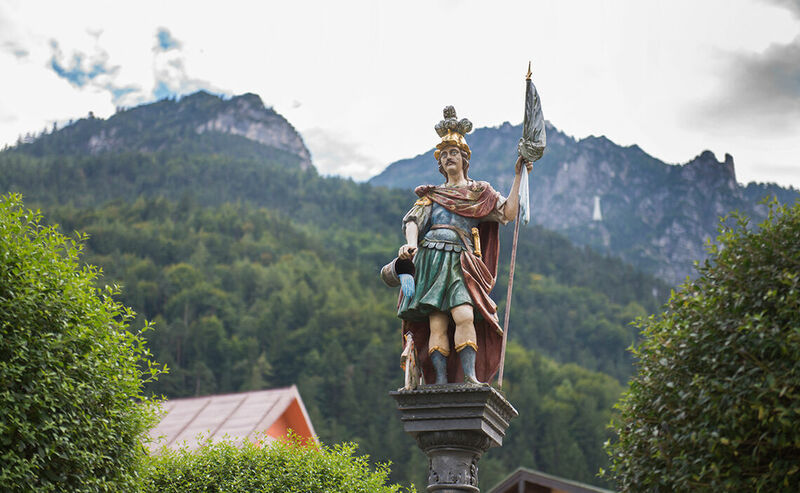 Bad Reichenhall’s Florian Square with its gable-topped houses and typically alpine flair has retained its originality and romantic setting. 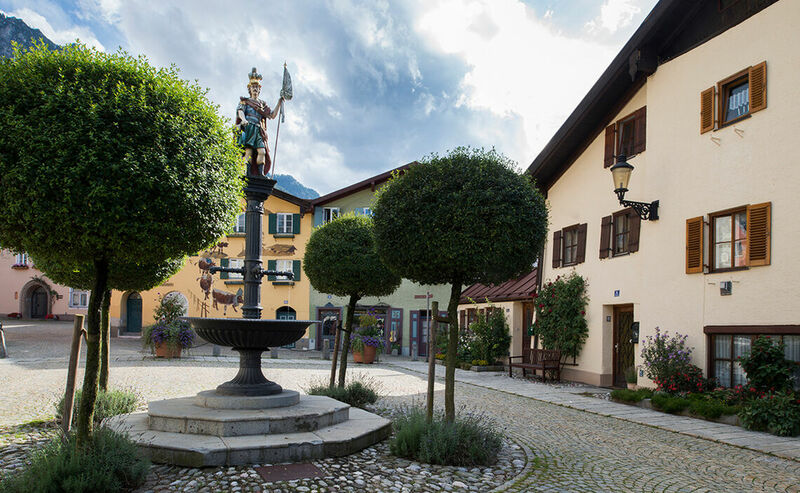 This square, along with the Sebastian quarter and the medieval fortification wall from the 13th c, forms the oldest part of the Alpine Town. 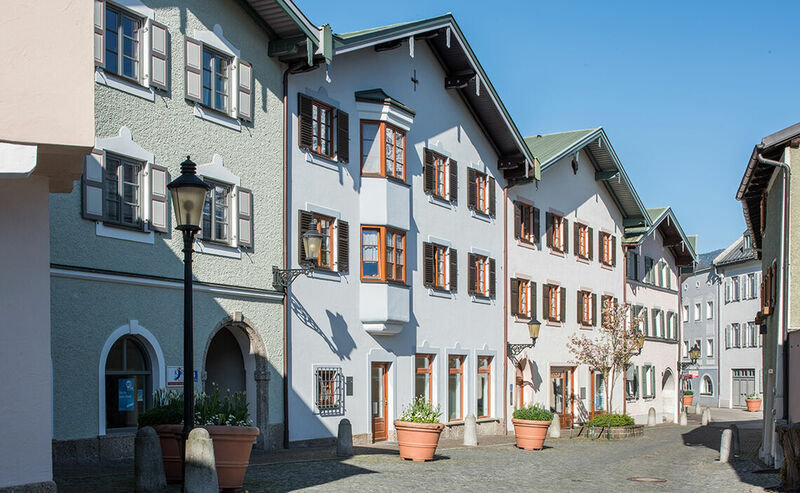 These were the only houses spared in the 1834 city fire which is why the square has preserved its characteristic old Bavarian village appearance. Formerly the workshops of coopers, coppersmiths and dyers could be found here. Today artists, artisans, tailors and wreath-makers welcome visitors and customers at their workshops and stores. Spending leisure time at one of the neighborhood’s cafés you can still feel the spirit of the past here. Watches seem to run slower here and the locals seem to be happy people. Perhaps they are proud to live in this peaceful part of town. One rarely sees a car here – mostly just pedestrians and people riding bicycles. This is also a reason why it’s so peaceful and idyllic here. Take a seat: there are plenty of benches here. The square’s houses with their protruding flat gable roofs, transom windows and small shutters are a typical element of this square. The house fronts are colorfully painted in pale blue, pink or yellow tones. This is the way it has looked since the late Middle Ages. Florian Square resembles an ‘Old Bavarian’ village square. 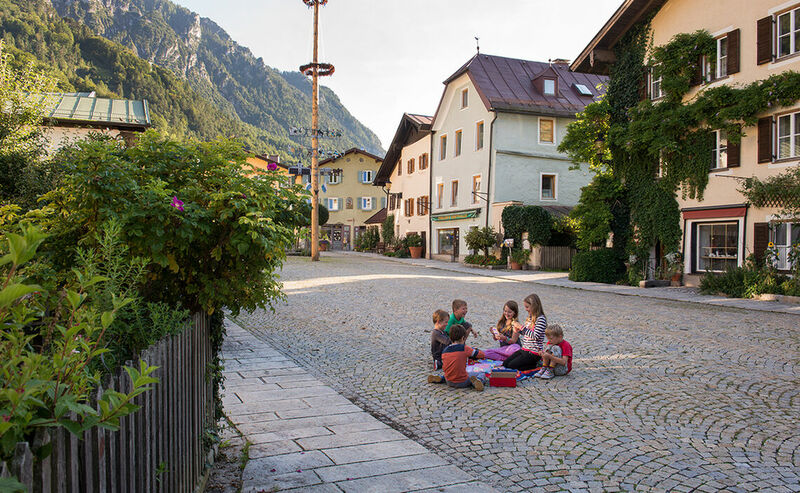 In summer, geraniums and begonias seem to burst out of their flowerboxes while children play tag in the streets. In winter the square dons a dreamlike winter mantle. This neighborhood was formerly the home of coopers, coppersmiths and dyers. 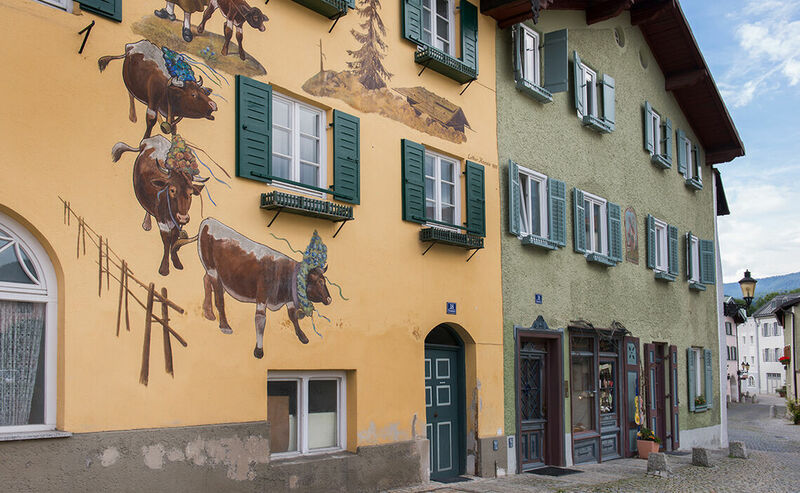 Today it houses artists, artisans and flower arrangers.